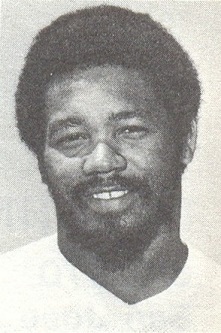 Haden was a member of national championship teams at USC in 1972 and ’74 and appeared in three Rose Bowls. He was also an Academic All-American and received a Rhodes Scholarship following his graduation. Haden was selected by the Los Angeles Rams in the seventh round of the 1975 NFL draft but signed with the Sun of the WFL with the stipulation that he would need to cut his season short in order to begin his studies at Oxford. He took over the starting duties in the second week and played well until departing the club just a few weeks before the league folded. 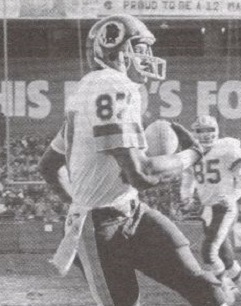 With the WFL having folded, Haden joined the Rams in 1976. There were concerns about his lack of size and arm strength and he made the club as the third-string quarterback behind James Harris and Ron Jaworski but started seven games (amid some controversy when Harris was benched in his favor) and showed promise. Haden overcame the challenge of fading veteran QB Joe Namath in 1977 to pass for 1551 yards and 11 touchdowns and gained selection to the Pro Bowl. He had his biggest statistical season in ’78, starting all 16 games for the only time in his career and throwing for 2995 yards with 13 TDs, although also 19 interceptions. 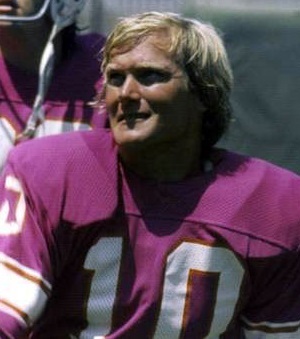 Haden started the first ten games in 1979 until going down with a broken finger and backup QB Vince Ferragamo led the club to the NFC Championship. Regaining the starting job in ’80, he again suffered a broken passing hand and threw only 41 passes and, following another injury-riddled year in 1981, Haden retired to practice law. 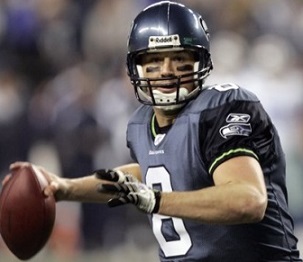 Overall in the NFL, he threw for 9296 yards and 52 touchdowns. A smart and unselfish quarterback, if physically limited and best suited to a ball control offense, the club went 35-19-1 during Haden’s starts and he was named to one Pro Bowl. The second All-America Football Conference season commenced with the Los Angeles Dons traveling to Chicago to face the Rockets on August 29, 1947. 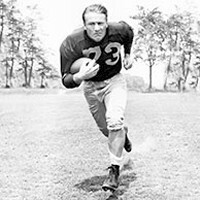 The Dons were coached by Dudley DeGroot, formerly of the NFL Redskins, and were coming off of a 7-5-2 record in 1946, although in the tough Western Division that put them behind the Cleveland Browns and San Francisco 49ers. 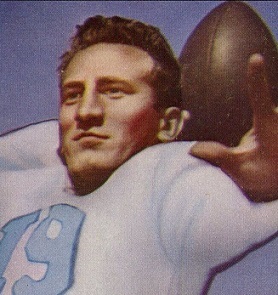 There was plenty of veteran talent on the roster and QB Charlie O’Rourke (pictured above) led the AAFC in completion percentage and outperformed Angelo Bertelli, the highly-touted Heisman Trophy winner out of Notre Dame. 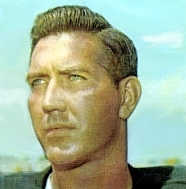 Jim Crowley, once one of Notre Dame’s “Four Horsemen” and more recently the commissioner of the AAFC, was making his debut as head coach of the Rockets. It was hoped he could stabilize a club that went through multiple coaches in ’46 on the way to a 5-6-3 tally. There was promising young talent on the team, including all-purpose tailback Bob “Hunchy” Hoernschemeyer and HB Elroy “Crazy Legs” Hirsch. There were 41,182 fans in attendance for the Friday night game at Soldier Field. Five minutes into the first quarter, LA scored first on a long pass from Charlie O’Rourke to end Joe Aguirre that covered 31 yards. Ben Agajanian kicked the extra point for a 7-0 lead. The Rockets responded with an 85-yard series that featured a 39-yard run by QB Al Dekdebrun and concluded with Dekdebrun tossing a four-yard TD throw to “Hunchy” Hoernschemeyer in the end zone. John Rokisky converted to tie the score. In the second quarter, the Dons struck back with an eight-play, 52-yard possession. FB John Kimbrough finished it off with a two-yard touchdown carry around left end and Agajanian again booted the point after. Chicago once more came back with a score. Hoernschemeyer threw to end Max Morris to reach the LA 22 and, from there, FB Bill Daley blasted up the middle for a TD. Rokisky’s extra point tied the game at 14-14, which remained the tally at the half. The Rockets moved ahead in the third quarter thanks to a razzle-dazzle play that involved Dekdebrun tossing 12 yards to “Crazy Legs” Hirsch, and he lateraled to HB Ray Ramsey who went the rest of the way for a 24-yard touchdown. Rokisky again booted the point after and the home team held a 21-14 edge. Later in the period, Agajanian kicked a 40-yard field goal for the Dons to narrow the margin to 21-17. The game’s pivotal play came on the last play of the quarter when DHB Bob Kelly went high to intercept a Dekdebrun pass and returned it 22 yards to give the Dons the ball at the Chicago 46. O’Rourke completed a 19-yard pass to end Dale Gentry and Kimbrough and HB Bert Pigott ran the ball effectively to reach the three yard line, from where Kimbrough ran over left tackle for a touchdown. Agajanian added the extra point and Los Angeles held on to win by a final score of 24-21. Chicago led in total yards (304 to 279) while the Dons had the edge in first downs (13 to 12). Each team turned the ball over twice. Charlie O’Rourke was the passing star for the Dons, setting up all three of the team’s TDs with his throws. Bill Daley (pictured at left) ran the ball effectively for the Rockets, who gained 129 yards on the ground, and scored once. The next week the Dons swung a huge three-team trade involving the Rockets to obtain tailback Glenn Dobbs from the Brooklyn Dodgers, the AAFC’s reigning MVP. Chicago parted with Hoernschemeyer, who ended up in Brooklyn, and LA jettisoned Bertelli, who went to the Rockets. Dobbs struggled in his transition from the single-wing to T-formation and O’Rourke continued to see most of the action at quarterback. The Dons struggled as well, losing three of their next four games on the way to a disappointing 7-7 record that was once again well behind the Browns and 49ers. Coach DeGroot was forced to resign after the eleventh game. Jim Crowley also failed to last the year in Chicago as the Rockets collapsed to a dismal 1-13. Elliott was a noteworthy performer in college until being sanctioned for rowdy off-field behavior. 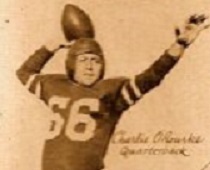 He joined the Bulldogs in 1922 and, proving to be an outstanding power runner, received first-team All-NFL honors from the Canton Daily News as the team went 10-0-2 and won the league title. Bulldogs went 11-0-1 to finish first in the NFL for the second straight year while leading the league in touchdowns (32) and scoring (246 points). 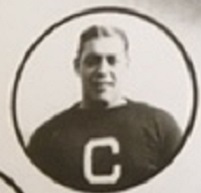 The franchise having been deactivated, Elliott moved along with many other top Canton players whose contracts were sold to the Cleveland Bulldogs in 1924. The club won the NFL Championship and Elliott received first-team All-NFL honors from the Green Bay Press-Gazette, scoring another six touchdowns and a total of 40 points. Following another year with Cleveland in 1925, Elliott jumped to the new AFL in ’26, splitting time with the Cleveland Panthers and Philadelphia Quakers, the league’s champions. With the demise of the league after one year, Elliott played minor league football before returning to the NFL with the Cleveland Indians for one last year in 1931. Overall in the NFL, Elliott scored 17 touchdowns, four field goals, and seven PATs, for a total of 121 points. He received at least some first-team NFL recognition after three seasons. 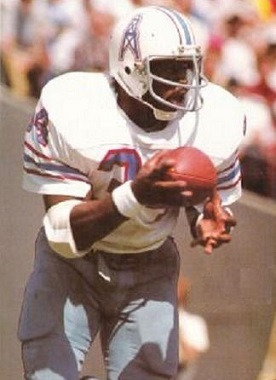 Following an outstanding college career that was capped by rushing for 1744 yards and winning the Heisman Trophy, Campbell was the first overall pick by the Oilers in the 1978 NFL draft (Houston traded with Tampa Bay for the top choice). He moved directly into the starting lineup with outstanding results, leading the league in rushing (1450 yards), gaining consensus first-team All-Pro and Pro Bowl honors, as well as Rookie of the Year and MVP recognition (Pro Football Writers, NEA). Campbell followed up in 1979 by again topping the NFL in rushing (1697 yards) and touchdowns (19) to again receive consensus MVP, first-team All-Pro, and Pro Bowl honors. It was more of the same in ’80 as the power-running Campbell rushed for a career-high 1934 yards that included a record four 200-yard performances. Oilers went 7-9 to finish third in the AFC Central. Campbell ran for 538 yards in the strike-shortened 1982 season, in which the team crashed to 1-8, and after one more 1000-yard rushing season in 1983 (1301 yards), his heavy workload and physically-punishing running style caused his performance to drop significantly. Campbell was traded to New Orleans during the ’84 season and he finished his career in 1985, rushing for 643 yards and a 4.1-yard average for the Saints. He retired with 9407 rushing yards, which ranked seventh in NFL history at the time, on 2187 carries and 81 touchdowns. 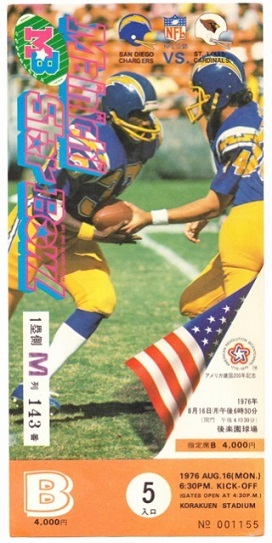 Campbell received at least some MVP recognition and was a consensus first-team All-NFL selection three times and was named to four Pro Bowls. His #34 was retired by the Houston Oilers/Tennessee Titans and he was inducted into the Pro Football Hall of Fame, Class of 1991. Griese, the son of Hall of Fame QB Bob Griese, was a successful walk-on in college who passed for 3663 yards and 27 touchdowns and capped his career at Michigan with a Rose Bowl victory. He was chosen by the Denver Broncos in the third round of the 1998 NFL draft and spent his rookie year backing up QB John Elway. With Elway retired, Griese took over the starting job in 1999 and, hampered by injuries (a recurring theme), threw for 3032 yards and 14 TDs, with as many interceptions. While again plagued by injuries, he showed improvement in 2000, passing for 2688 yards and 19 touchdowns, with just four interceptions, and led the NFL with a 102.9 passer rating. He was chosen to the Pro Bowl but also needed shoulder surgery for the second straight year. Griese struggled with consistency in 2001 and his interception total rose to 19. 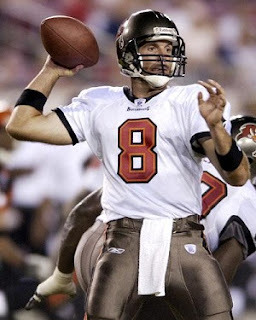 A smart and accurate, if not strong-armed, passer at his best, his leadership skills and confidence came under question, particularly in clutch situations, and after another disappointing year in 2002 he was let go and moved on to the Miami Dolphins in ’03, where he started five games and was unimpressive. Griese joined the Buccaneers in 2004 as the third-string quarterback but, when QB Chris Simms went down with an injury, he took over the starting job and performed well. Buccaneers went 5-11 to finish fourth in the NFC South. Griese started six games in 2005, five of which the Bucs won, but a knee injury cut his season short and he was let go afterward. He moved on to the Bears as a backup in 2006 and saw considerable action in ’07 in place of starting QB Rex Grossman until he again was injured. 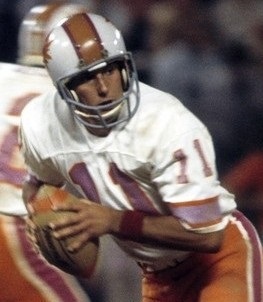 Griese was traded back to Tampa Bay in 2008 and started five games in what was his last season. Overall, he passed for 19,440 yards and 119 touchdowns, with 4841 yards and 32 TDs coming with the Bucs. Griese was chosen to one Pro Bowl in a career that was marked by injuries and inconsistency. In college, Cofer connected on 50 of 68 field goal attempts (73.5 %), topping the Atlantic Coast Conference in 1984 (18) and ’86 (13), and 97 of 108 PATs (89.8 %) for a total of 247 points. Undrafted in 1987, he signed with the Cleveland Browns and barely lost out to Jeff Jaeger in the preseason. He was a replacement player with New Orleans during the season and then signed with the 49ers in 1988 and won the placekicking job in the preseason, impressing with his leg strength. 49ers went 10-6 to finish first in the NFC West while leading the conference in rushing yards (2523) and total yards (5900). Won NFC Divisional playoff over Minnesota Vikings (34-9), NFC Championship over Chicago Bears (28-3) & Super Bowl over Cincinnati Bengals (20-16). Cofer followed up by connecting on 29 of 36 field goal attempts (80.6 %), with just one miss inside of 40 yards, and adding 49 PATs to lead the NFL with 136 points in 1989. He received first-team All-NFL recognition from the Associated Press and Newspaper Enterprise Association. 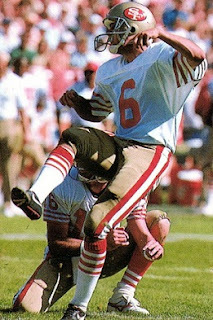 Cofer spent a total of six years with the 49ers, with declining reliability, until being let go after the 1993 season. He joined the Colts in ’95 and, while he had a 52-yard game-winning field goal against the Jets, Cofer still lacked consistency and was released, ending his career. Overall, he was successful on 133 of 201 field goal attempts (66.2 %), with 128 of 191 coming with the 49ers. Cofer also booted 303 extra points and scored a total of 702 points (296 PATs and 673 points with San Francisco). He received first-team All-NFL honors once.